Well it's time to take the Denali Star back to Anchorage. We left the hotel around 9:30 for the trains departure at 12:30. They need that time to get the rooms ready for the next guests and they get the luggage to the station and put on board the train. Since we had some time before the train we took our last short walk in the park and then got on the train. There aren't as many pictures of the trip back since it was the same as the trip up. 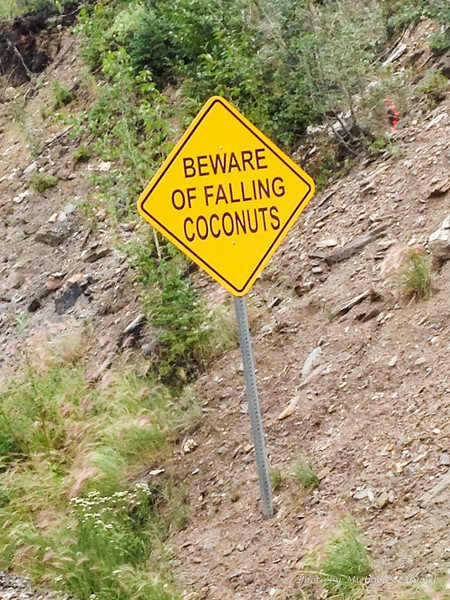 These signs are posted on the road going up the hill to our lodge.